The Seychelles, in the heart of the Indian Ocean, is undoubtedly home to some of the most extraordinary species in the world. From beautiful Giant Sea Fans to various sea turtles to vibrant tropical fish, this area holds some of the most fascinating and often feisty creatures all in one abundant ecosystem. 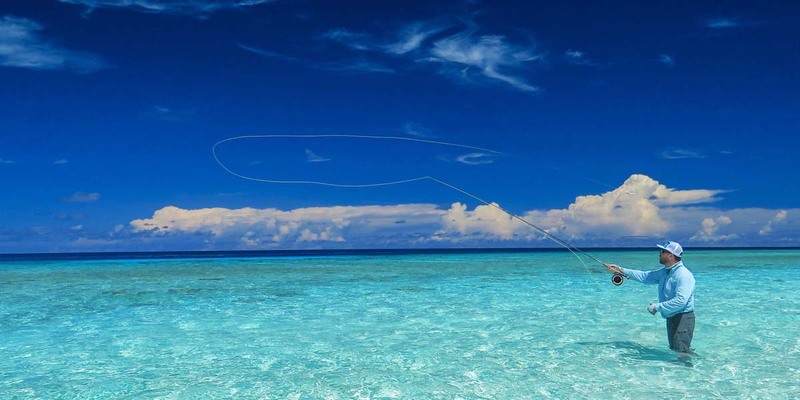 Operating from Alphonse Island in the Outer Islands of the Seychelles, Alphonse Fishing Co. gives its guests a unique chance to target some of these peculiar species on the fly. 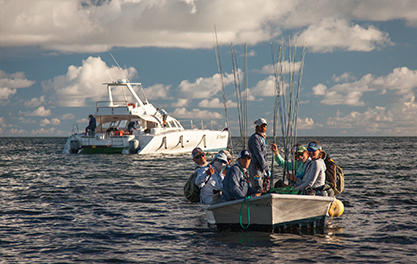 Adhering to a strict catch-and-release policy, fishing with us ensures that these entertaining creatures will continue to challenge and delight us for many years to come. Found amongst the likes of Indo-Pacific Permit, Giant Trevally, Sailfish and Wahoo, we find the colourful, pointed snouts of the Triggerfish. 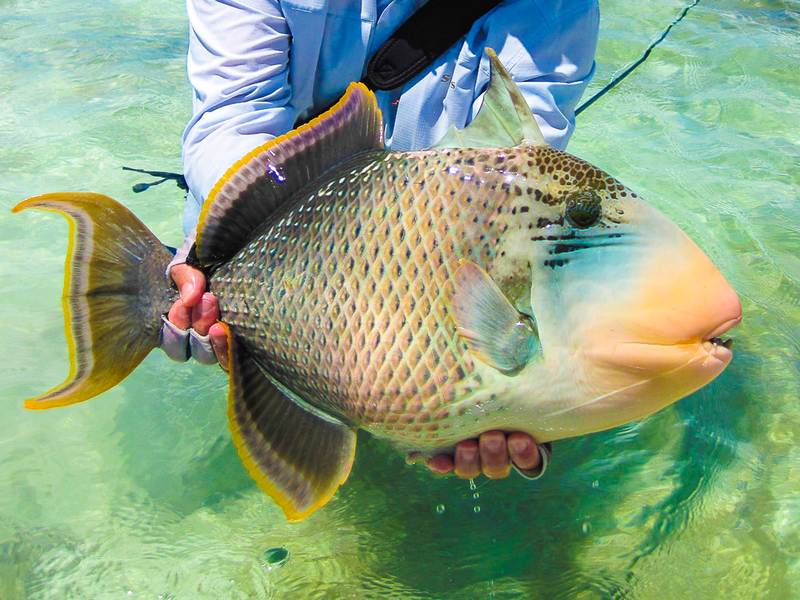 Targeted mostly on the flats, it might come as a surprise to some that these flamboyant fish are quite aggressive. Known to attack divers and other fish alike when breeding, these ragged-toothed beauties will take a bite out of anything that comes too close to their mouths. They also have a very interesting defense mechanism where their dorsal fin can be locked. This is used when they are sleeping in crevices to prevent predators from pulling them out of their hiding places as well as making them quite difficult to eat. The upright dorsal fin also heeds as a warning to other fish to stay clear. The Yellow Margin Triggerfish (Pseudobalistes flavimarginatus) is also known as the Yellowface Triggerfish, Yellow Margin Trigger or Pineapple Trigger. They can grow up to 60cm in length and feed on a variety of live coral, algae, sea squirts, crabs, molluscs and other fish. The Yellow Margin is characterized by its tan body with dark spots, orange margins in the fins and pale orange snout and cheeks. 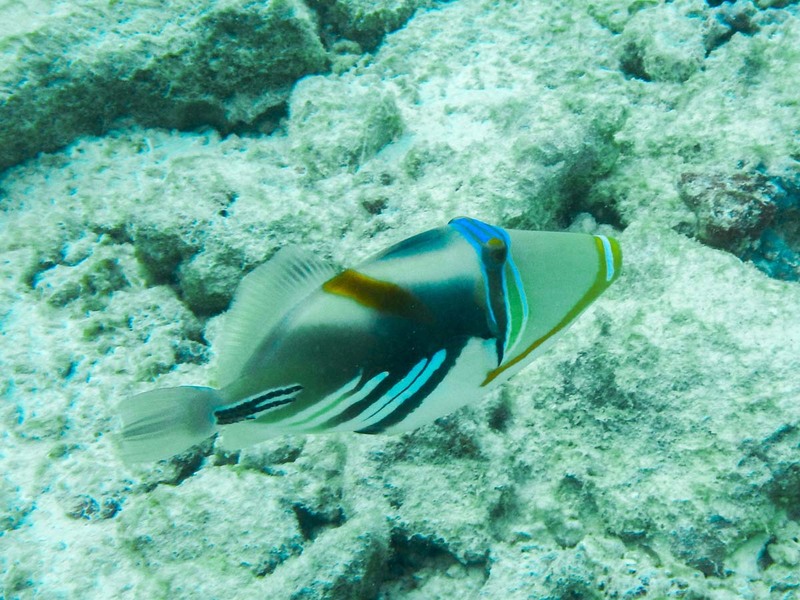 The Picasso Triggerfish (Rhinecanthus aculeatus) is also known as the White-banded Triggerfish, Lagoon Triggerfish, Reef Triggerfish, Blackbar Triggerfish, Hawaiian Triggerfish, Huma Huma Triggerfish or Humu Picasso Triggerfish. This species only grows up to 25cm in length and they predominantly feed on molluscs, small shrimp and crustaceans. The Picasso is identified also by a tan body but with the addition of distinctive black and blue lines across the face and body. The Picasso Triggerfish is the official Hawaiian state fish where it is known as Humuhumunukunuku apua’a or humu humu for short. The Moustache Triggerfish (Balistoides viridescens) is also known as the Titan Triggerfish Bluefin Triggerfish, Blue-and-gold Triggerfish, Dotty Triggerfish and Giant Triggerfish. Found in lagoons and reefs, these Triggerfish can grow up to 75cm in length and feed on a variety of algae, live coral, sea urchins, molluscs and crabs. 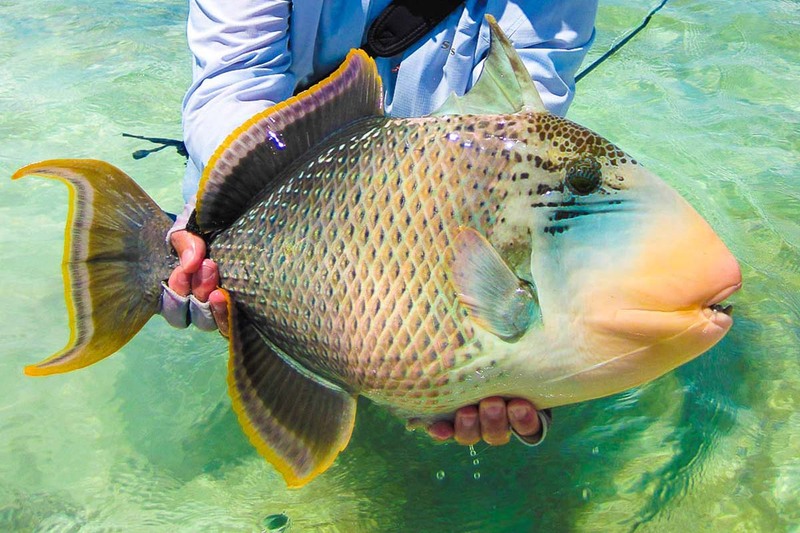 The Moustache is the largest and most aggressive of the Triggerfish and due to their strong teeth and being ciguatoxic, they can inflict some very serious injuries. 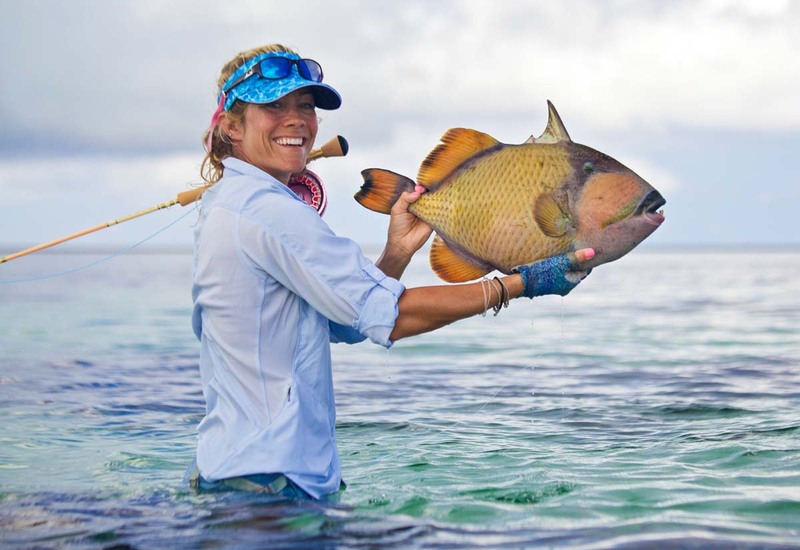 Want to try your hand at targetting Triggerfish? Book with us today!